Sometimes places inspire a picture painted with words. 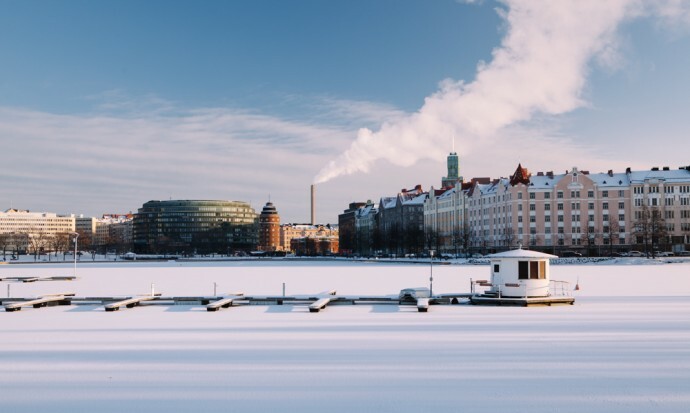 Helsinki in its winter dress did plenty to provoke poetry, but now is time for some more practical prose. The Finns love to Tango, so much so that they have their own version of the Argentine dance. 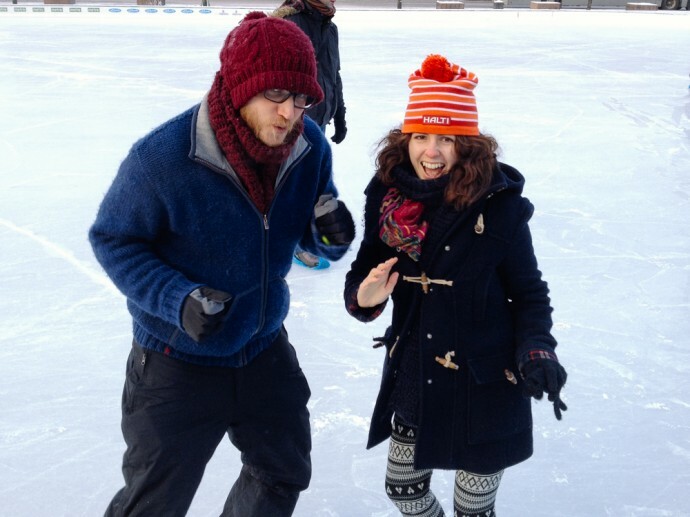 We had a lesson in the snow in an outdoor amphitheater. It’s amazing how concentration can quell the cold. 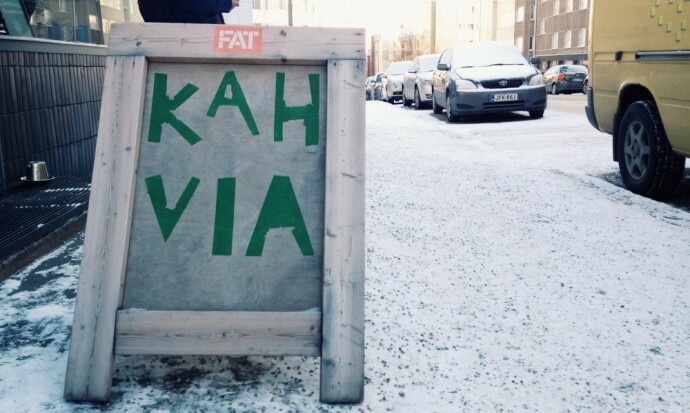 Apparently the Finns drink more coffee per capita than anywhere else in the world. It would certainly seem so with the amount of excellent cafes in Helsinki. 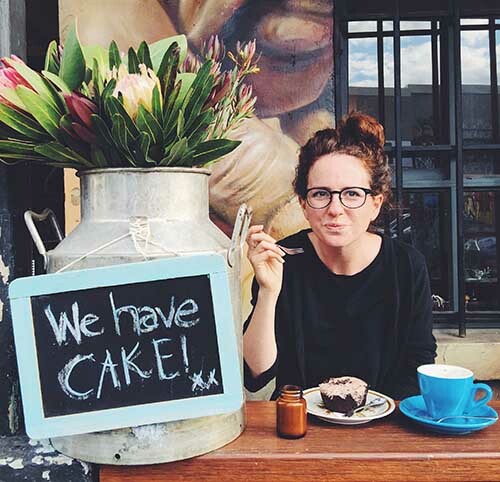 Our favourite coffee stop was the suitably hipster Good Life Coffee. It was up there with the best we’ve ever tasted. When someone asked me to describe Helsinki in one word, the first thing that came to mind was “stylish”. The people, the architecture, the bars, restaurants, apartments – even the trams ­– have an immaculate yet characterful sense of style. Even the guidebook (Mondo) is beautiful, made like a paperback novel rather than the usual glossy or coloured paper. Although nodded towards in the last paragraph, the architecture deserves a slot of its own. 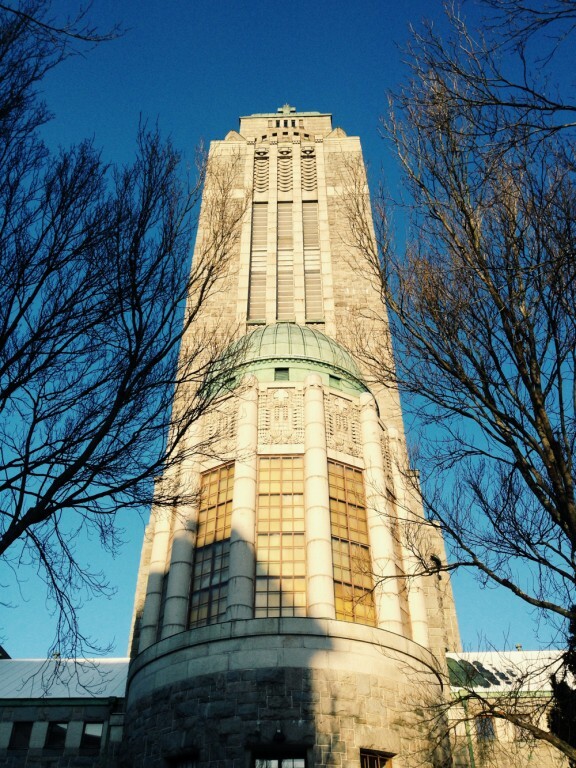 The At Nouveau buildings are the highlight including the grand Central Station and the imposing Kallio Cathedral. You’ll unlikely read anything about Finland without mention of the famous Finnish sauna, and rightly so because it’s glorious. 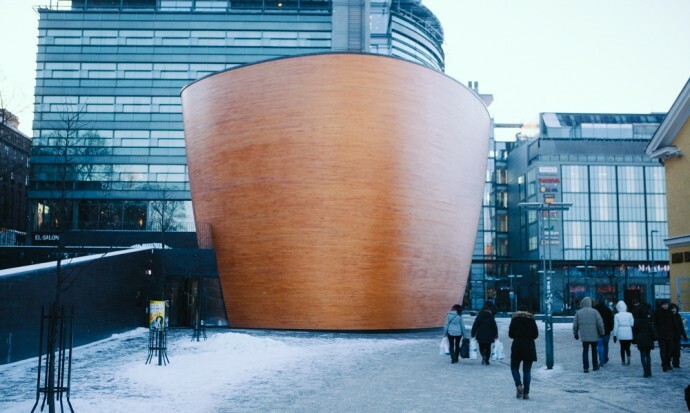 We tried a few including the Finnish Sauna Society in Helsinki. Many of the saunas are close to the sea so you can take a dip in the icy water in-between your sessions. You’ll never feel so invigorated. If you read this blog, you’ll know I’m a cake obsessive and I was delighted to find that Helsinki specializes in cinnamon buns – one of my all time favourite treats. They’re in nearly every café and the best one I found was close to our house in a bakery named Kakku & Leipä Keisari. 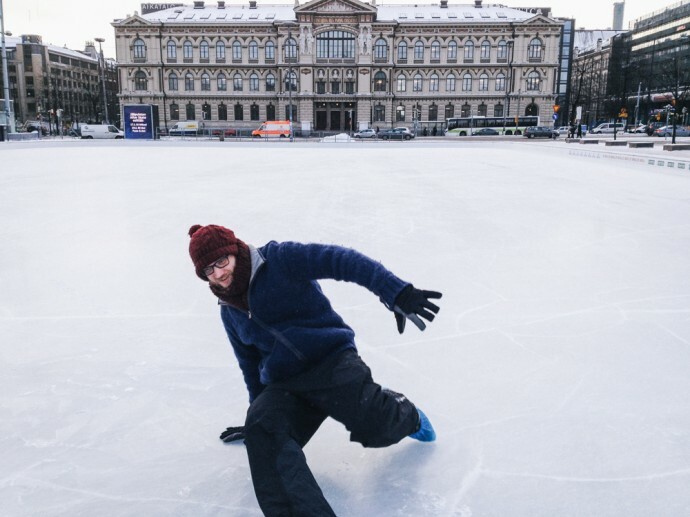 There are a few different ice skating rinks in the city where you can hire skates including one outside the beautiful Central Station. We also tried our hand at curling in which I discovered a hidden talent! Perhaps you’ll see me in the Olympics yet. Meanwhile Steve chose to breakdance. 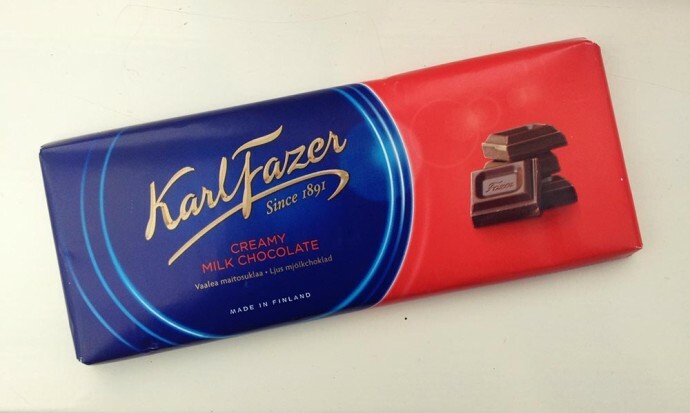 I hadn’t heard of it before visiting Finland, but Fazer chocolate is a Finnish national treasure and I was addicted from first bite. Beware! It’s deliciously creamy and addictive! Alongside cakes, brunch is one of my favourite things and it seems the people of Helsinki are in agreement. 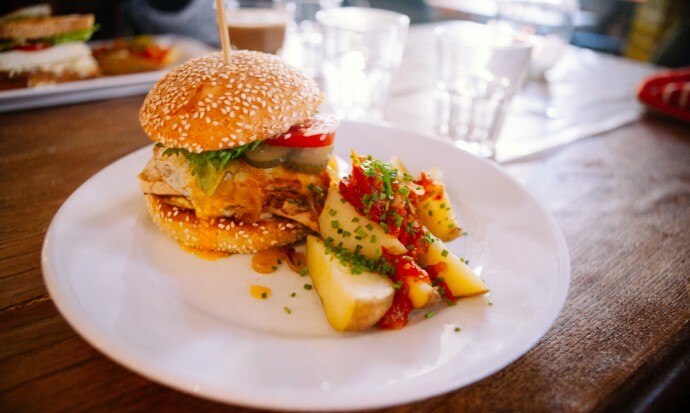 Signs for brunch appear everywhere and they have a fondness for themed meals ­­– from chocolate brunch to yoga brunch or a Russian zakuska buffet. 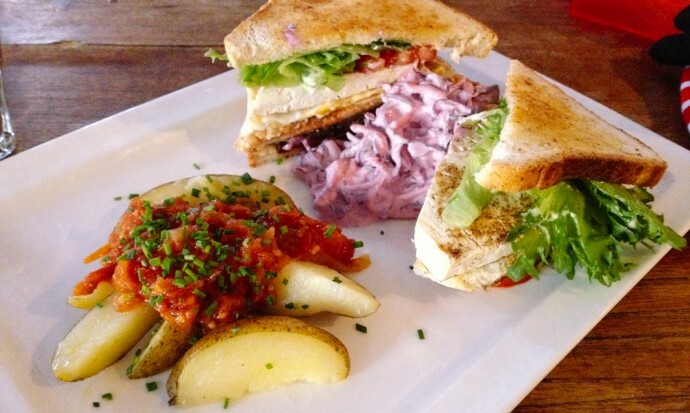 We went to Siltanen whose veggie club sandwich was the perfect Saturday morning start. There’s something wonderfully charming about trams and not only do they add to the character of Helsinki, but they also make it delightfully easy to navigate. Combined with the buses and metro, the city’s transport network is excellent. There was a lot of buzz to be heard about the rise of Helsinki as a culinary capital, and our trip to A21 was testament to that. The Finnish-owned experimental restaurant makes your meal into a sensory journey, theming each of the 5-7 courses with a particular mood of nature. The matching cocktails with each course are a highlight and vegetarian options are available for all. 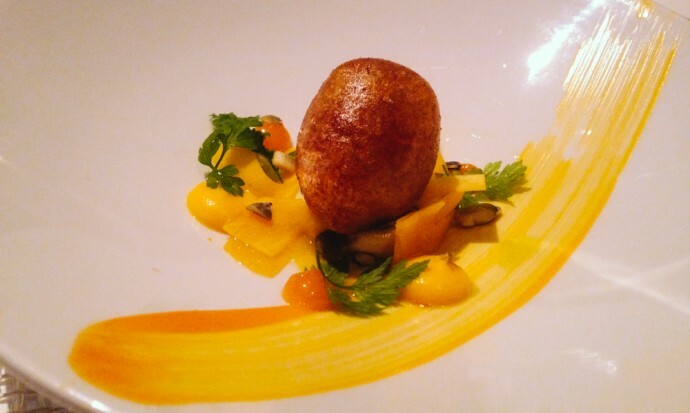 At 80 euros for five courses, it’s one that’s perfect for special occasions. We also heard that Ask is a particularly good restaurant, using only the freshest of ingredients. It’s one of the best place names I’ve ever come across. I’d quite like a pet named Helsinki. In the middle of the city centre stands a distinctive wooden building. 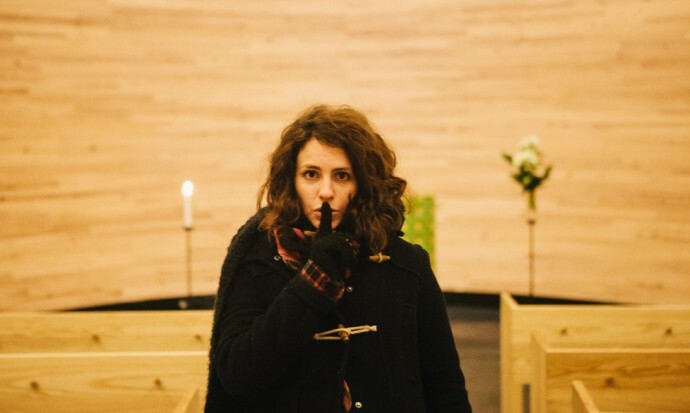 You can enter by the side and there you will find yourself inside a dedicated Chapel of Silence, open to anyone looking for some moments of quiet amid the city. Originally Lutheran, it is open to all denominations and is a beautiful place of respite. Every city should have one. A cloak of sparkling white makes everything look magical. As vegetarian travellers, we are very used to being met with blank or annoyed stares when asking for a veggie option. This was not the case in Helsinki where nearly every restaurant had at least one meatless option, and, if not, was happy to invent one. One particular veggie highlight was the restaurant Silvoplee which has a diverse buffet charged by weight. 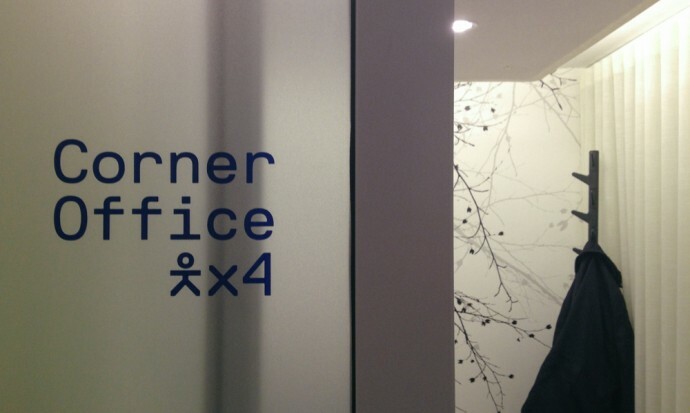 One of the things we’ve started to really appreciate as digital nomads is co-working spaces. 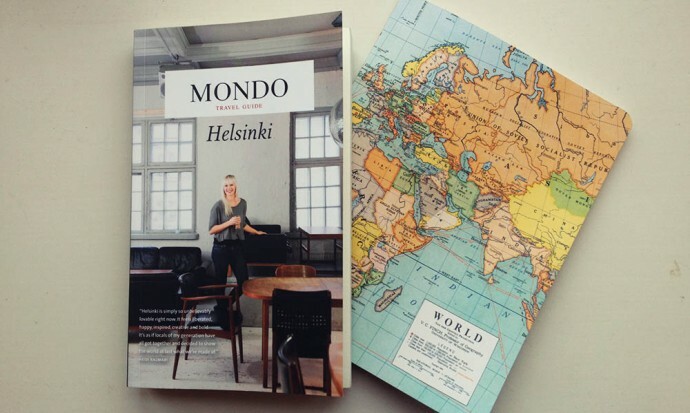 Helsinki has a great one at Kontoret, which provides both shared and private office spaces in a stylish setting. Around a third of the land in Helsinki is made up of parkland and it’s a city surrounded by sea. You never feel hemmed in by the city and there’s plenty of opportunity for making the most of its natural life. 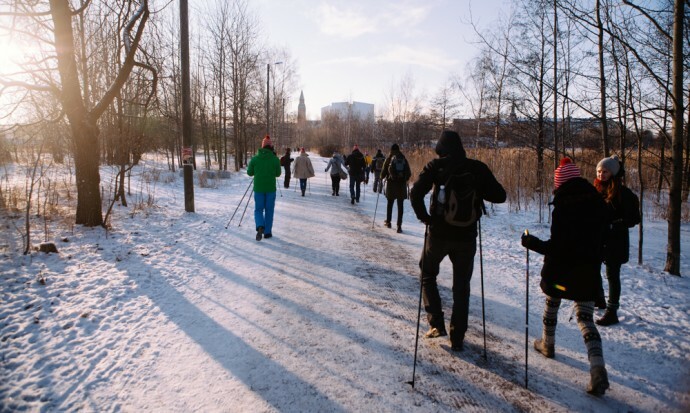 We tried Nordic Walking through the parks and could imagine how the greenery would be lush in summertime. When there’s enough snow and the ice is thick enough (it wasn’t quite there when we arrived), you can skate on tracks along the water, and also ski or toboggan just outside the centre. Finally a place is little without its people and we felt truly welcomed by the Finns. Rosy cheeked and smiling, the people we met were proud of their city and keen to show it off. We came with the arrival of snow so caught a city jubilating in relief from darkness. The excitement was infectious. 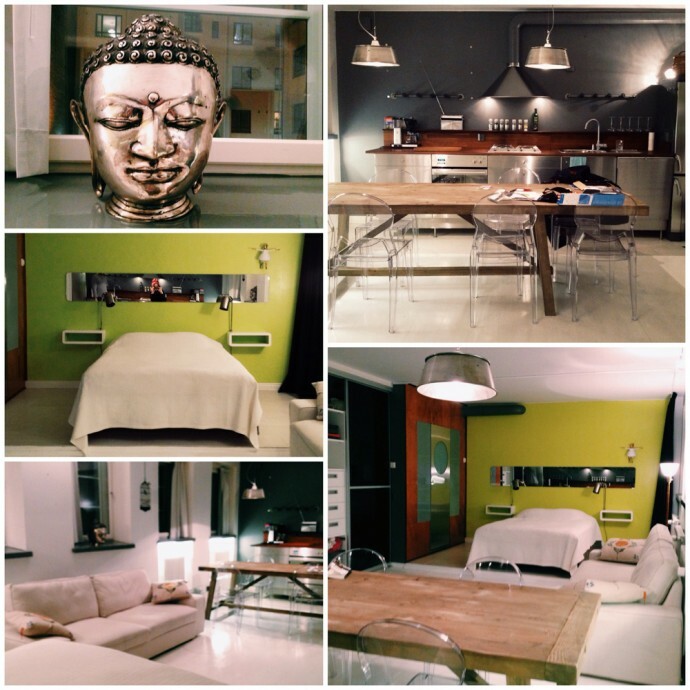 We stayed in a beautiful studio apartment in the centre of the city, complete with its own roof terrace and heated floors. It is in its own building, separate to the surrounding apartments, so you’re free to make as much noise as you like. Living there made us feel like locals. It also made it hard to venture outside! The best way to get to the centre from the airport is on Bus 615, which takes just 30 minutes. The tram, bus and metro system make getting around the city super easy, and you can get a 5-day pass for about 30 euros. 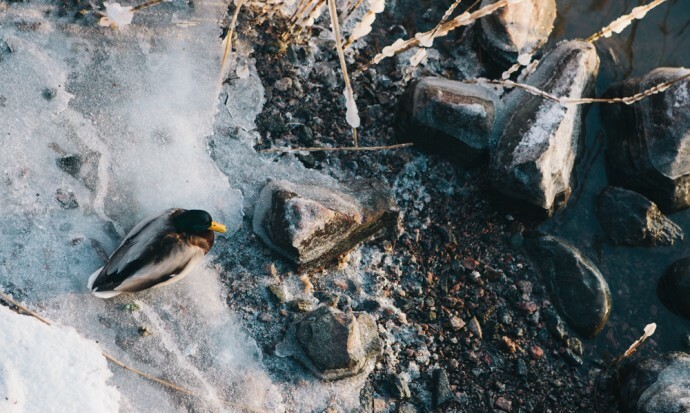 We were invited to Finland as part of the Nordic Bloggers Experience. Although our trip was partly sponsored, our opinions are always our own. Wow – what a great post! I especially love that you took tango lessons in the snow! At first I was a little taken aback by the idea of dancing n the snow, but it really was great fun. We quickly warmed up. Coffee, saunas, AND curling?!?! Sounds like I definitively need to head to Finland. Do it! I’m sure you and Kim would love it. Lovely portrait about this apparently heart-warming freezing country! My highlights among your list are the Tango and the Chapel of Silence! And being a vegetarian & coffee-junkie and nature-lover myself your post just boosted Helsinki’s ranking on my personal “to-see-and-to-be-list” quite significantly! Thanks for the “Finnspiration” and take care! Yay! That’s what I like to hear. Helsinki really is a wonderful place to visit. Go! And can you imagine my face when I realised the city was famous for its cinnamon buns! I made it my mission to try as many as possible. We LOVED Helsinki – great shopping, restaurants, beautiful, nice people, plenty to do…such a great city! It is isn’t it? Definitely now one of my favourites. 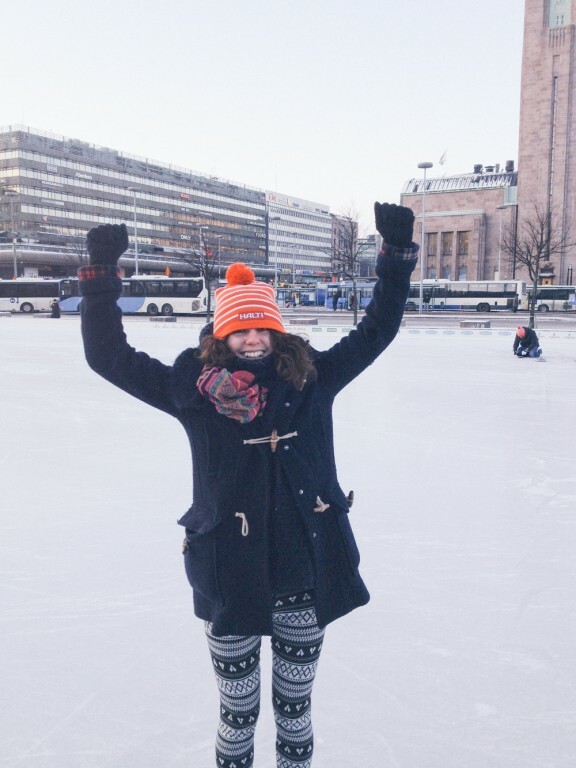 I aupaired in Finland and often went to meet other aupairs or out with the family in Helsinki. It’s an amazing city, i love it and i loved your list!! Although Salmiakki is horrible. Such a nice post! You really have experienced the best parts of city living. Villa Studio is a new for me, thanks. AYE! Loved this, thank you so much for posting this and so nice to hear you had a ball here in Finland. Have to say I really love my hometown too. Helsinki is a good place to live. Welcome back again! Thank you! I think it’s very likely we’ll be back! 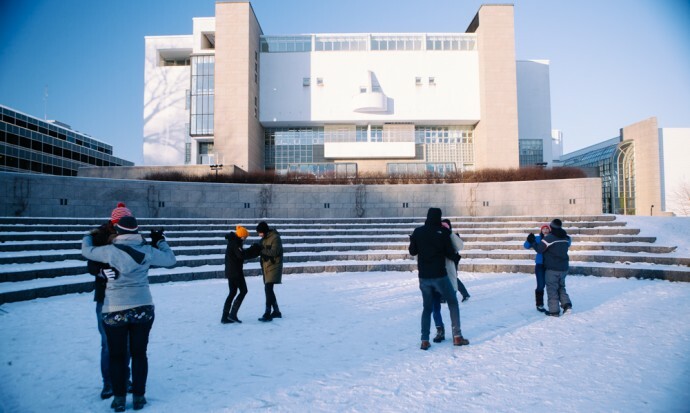 Never knew Helsinki had so many cool things to do! 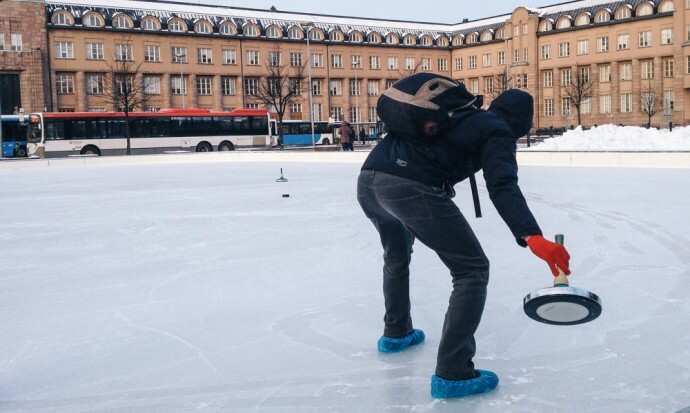 Never tried curling, but have always kinda been intrigued by it. We fly into Sweden in March so maybe we’ll have to make an extra side trip to check it out! Oh yes! I really recommend it! And do let us know if you’re coming to Berlin. Aww I was there this time last year and really liked it too! We were there for Helsinki’s pop up restaurant week, when literally anyone could start a restaurant out on the street. That was pretty fun. Oh yes, I heard about that. I think it’s happening around about now. Sounds awesome! I lived in Pori.’s 250 km from Helsinki. I wish to return to Finland. Looks amazing! I am thinking to tag Helsinki onto a trip to Latvia and Estonia this summer. It seems like a great city! Oh yes, I really recommend it. And it’s super easy to get the boat from Tallin. Victoria, it looks amazing! We’ll have to go there sometime. Ahh, good old Helsinki! Looks like you had a wonderful trip! I am going to have to go back and have a go at that outdoor tango! Wonderful! I was there for two weeks in March of 2012. My favorite memory is of the trams. Great way to get around and to come to know Helsinki better. I hope to emigrate there soon. My favorite country, one with a lot of life and a lot of future, in contrast to places like the disunited states. Ah yes, I loved the trams too. They are so incredibly charming. Lucky you moving to Helsinki. It’s a great choice! Love this! I’m moving to north-eastern Europe later this year and have been a little worried about surviving my first winter there. But it looks like there will be plenty of things to keep my occupied and warm! Oh yes, I think it may be one of the most magical times to visit. Enjoy! I’m saving this one for future reference because now I want to go to Finland!!! I’m so happy they have so much vegetarian food! It also looks like they have plenty to see and do! We were surprised by just how much veggie food there was. It’s excellent! Thanks Gabi. I really fell for Helsinki. It’s gorgeous!